Airy and spacious tune with a peaceful and serene atmosphere, suitable for Nature and environment. Broad and panoramic orchestral tune with an epic atmosphere, suitable for landscapes and environment. Bucolic and relaxing orchestral tune with a serene and peaceful atmosphere. Panoramic and broad orchestral tune with an evocative and adventurous atmosphere. 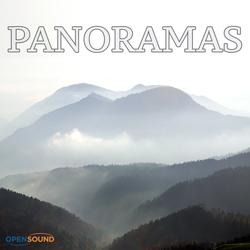 Panoramic and airy orchestral tune with marimba phrases. Serene and peaceful atmosphere. Airy and spacious orchestral tune with a peaceful and serene atmosphere, suitable for Nature and landscapes. Panoramic and airy orchestral tune with an adventurous atmosphere, suitable for Nature and landscapes. Light-hearted and delicate orchestral tune with a childish and fairy-like atmosphere. Bucolic and serene orchestral tune with a magical and fairy-like atmosphere. Broad and panoramic orchestral tune with a peaceful and relaxing atmosphere, suitable for environment and landscapes. Panoramic and broad orchestral tune with a serene and sentimental atmosphere, suitable for Nature and environment. Serene and bucolic orchestral tune with a carefree fairy-like atmosphere. Positive and serene orchestral tune with a homey and sentimental atmosphere. Dreamy and magical atmosphere. Evocative and peaceful orchestral tune suitable for Nature and environment. Broad and panoramic orchestral tune with a world rhythm and adventurous atmosphere. Delicate and gracious tune with a Folk-pop flavour with themes by clarinet and accordion over a guitar arpeggio and pizzicato strings. Positive and light-hearted orchestral tune. Quiet intro in the first 30'', then becoming dynamic with a flowing rhythm. Serene, bucolic and quiet orchestral tune with a sentimental atmosphere.